It looks like Spring is finally here! Which means there is a lot happening in The Meadows and we have a community update for you! There has been lots of progress with construction at Meadows Market. 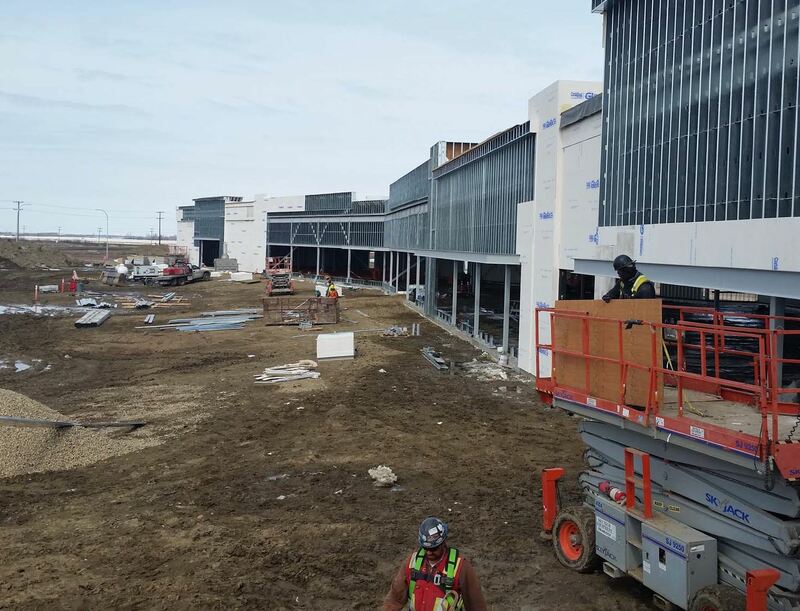 Marshalls, Visions Electronics, Scotiabank, McDonald’s, Petsmart, Dollar Tree, Tim Hortons and Saskatoon Co-op Liquor are all on track to open this fall and possibly sooner! We hope you are excited as we are to start shopping in Meadows Market. We are also working on securing more tenants, so stay tuned as we announce more. In the meantime, if you know anyone looking to lease space at Meadows Market, please feel free to contact us. 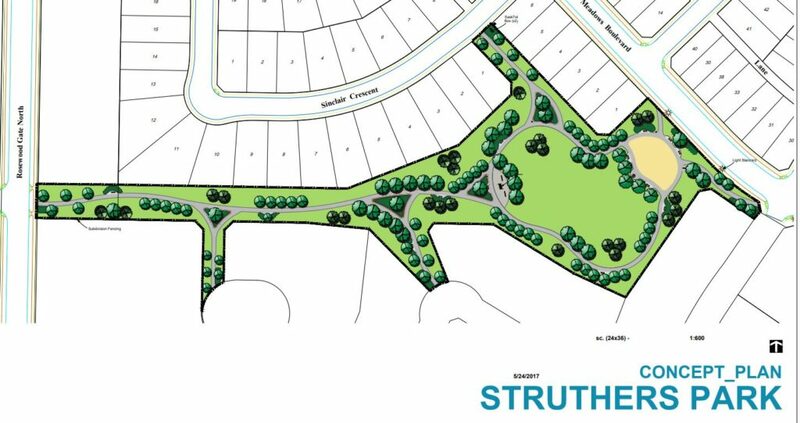 The City of Saskatoon will be starting construction on Struthers Park this spring, with a completion date at the end of summer. Stay tuned for more information! You may have noticed our office moved! The Arbutus Properties office is now located at 700 Meadows Boulevard, which is at the very end of Meadows Boulevard. 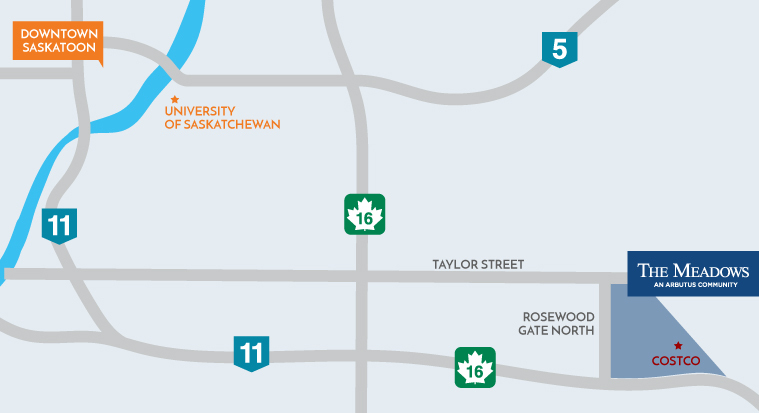 Our office move comes with some great news – the City of Saskatoon is planning on starting Taylor Street in early spring and are hoping to have a few lanes completed early next year. 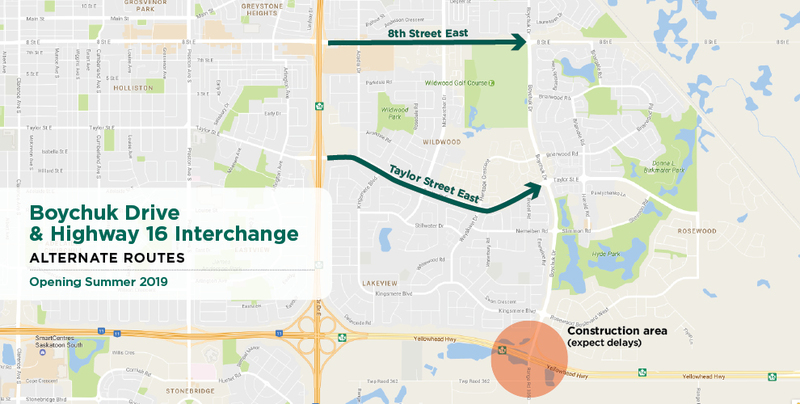 Lots of progress has happened with the Boychuck Drive/Highway 16 interchange. Recently traffic patterns have changed at the intersection. The westbound lanes of Highway 16 through the construction zone have been closed. The eastbound lanes have been converted to two-way traffic. The city of Saskatoon is advising extensive delays can be expected and are encouraging drivers to use alternate routes. 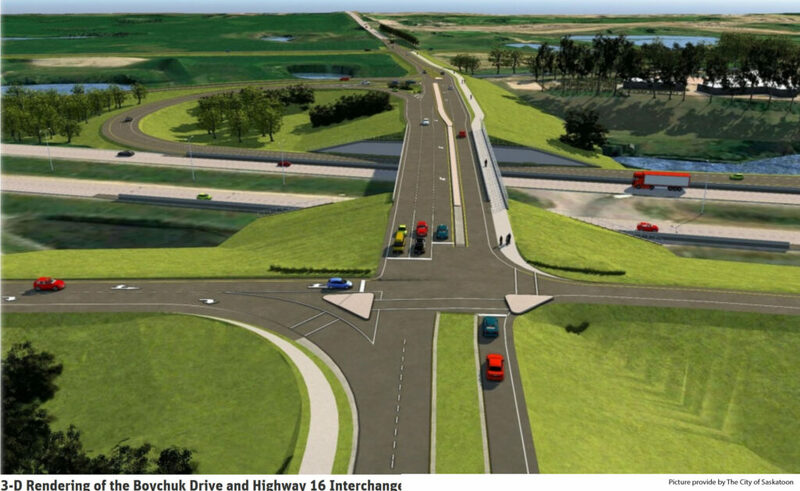 The Boychuk Drive and Highway 16 Interchange is expected to open the summer of 2019. To stay up to date on the latest progress visit The City of Saskatoon. Do you want to stay informed and in the loop with community updates? Be sure to sign up for our newsletter and follow our blog for the latest news in The Meadows and Rosewood.